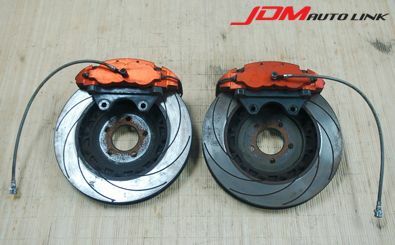 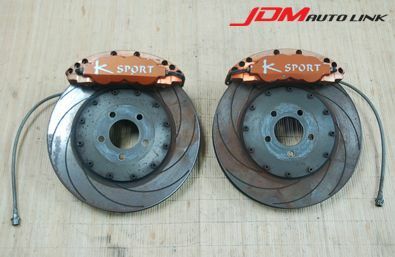 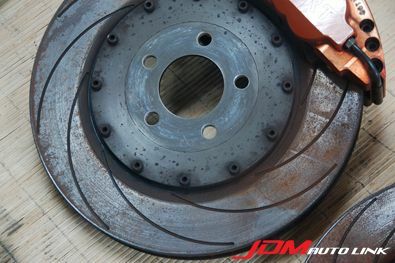 Set of pre-owned K-Sport 8 Pot Brake Kit with 332mm floating rotors for the Volswagen Golf MK4. The PCD is 100 with 5H. 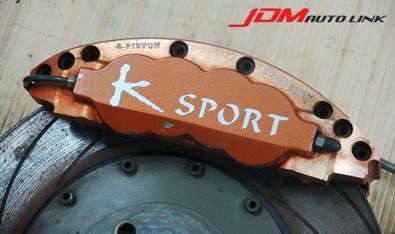 The set of brake kit will also be able to be adapted to other vehicles. 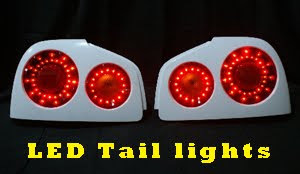 Should you be interested in this kit, contact us at sales@jdmautolink.net with your location and we will revert back with pricing.